Russell, 32, is a Civil Engineer from Edinburgh. 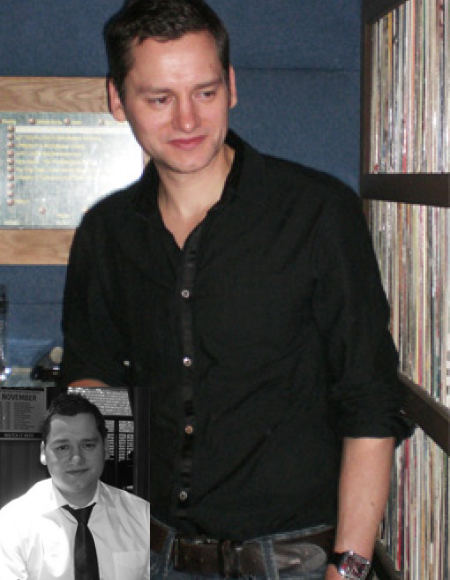 After seeing himself in photographs from a work Christmas party, he decided to lose weight and has lost a total of 5st 3lbs73lbs33.1kg over 18 months. The result has been much more confidence and a new girlfriend who is now his fiancee! What was your reason for joining Nutracheck? Seeing some photos of myself at a work Christmas do made me decide I needed to lose weight, but the actual realisation came when I went to buy a new suit and the guy who was measuring me up said I needed trousers with a 40 inch waist - and that they would need to be specially ordered. That was a bit of a low moment. I wanted to lose weight, but didn't want to sign up for the standard diet type club - I wanted control over my own eating plan. Having to attend weekly meetings etc, would not be flexible enough for my lifestyle. Also, whilst I like the support structure, it's not always good to weigh in as a group. How much weight have you lost in total and how long has it taken you? I've lost 5st 3lbs73lbs33.1kg in total and it took me around 18 months to get to my goal. My weight loss was very rapid at first, and then I experienced a few plateaus. It got more difficult to lose weight the closer to my goal I got. Getting through a plateau can be hard, which is why I found that running helped, as I actually enjoyed it, and stuck with it. I think the important thing with plateaus is to just see them through, as everyone experiences one at some point. Have you tried other diets before this and what was the experience like? I have tried a few 'quick fix' diet plans such as the juice diet and Atkins, but found them almost impossible to stick to and too restrictive. I think the longest that I managed to stick to any diet was a couple of months and I probably lost around 1st in total - nowhere near what I managed with Nutracheck. I can walk now into a shop and pick up what I want! What's been the key to your success? The key to my success was lots of exercise coupled with using Nutracheck to achieve a healthy lifestyle. I found it very valuable and encouraging to have a food diary and also to track my weight loss. I was exercising from the start, but my activity levels increased as I started to feel fitter and more confident. Initially I just started going along to a few classes at my local gym, but gradually took up running to keep motivated. What are your top three pieces of advice? Allow yourself a treat/cheat day on a regular basis to keep motivated. Don't kick yourself if you have a bad day, everyone does. I discovered running, which I now love and I also take part in British Military Fitness classes, which are great fun. I now manage to fit exercise into my daily life, and don't see it as a chore following the weight loss. How easy was it to fit the diet into your lifestyle? I found it very easy to fit healthy eating into my lifestyle. I wouldn't describe Nutracheck as a diet, I don't think of it that way which helps keep me focused. Using tools such as the mobile app and website mean it's very easy to keep track on the move. I'd still eat out and drink alcohol, one of the strengths of Nutracheck is that nothing is forbidden. You can 'save' calories for meals, drinks and treats by simply doing more exercise that week or cutting calories. It's good to look at week size blocks rather than just individual days. Also, you can use Nutracheck to help you make a balanced choice when eating out and gain a better understanding of the calories in lots of foods. Have there been any success milestones? There have been a few milestones, but really once I started losing the weight I took up running and now regularly run in 10km events. The biggest change in my life has been that I am much more confident. I now feel fit and healthy, and I'm not self conscious. I'm actually happy to have my photo taken now! Also, since starting on my weight loss journey I met a new girlfriend, who is now my fiancé! How do you feel now compared to before you started? I feel so much better now than when I started, I have so much energy and I am a much more confident person. I still use Nutracheck to help me continue with my healthy lifestyle and maintain my current weight. Now I'm maintaining I probably weigh myself around once a week, and I still keep my diary most days just to keep in check. What do you think is hardest - losing or maintaining? Losing is definitely harder. Maintaining is easier provided you find an exercise that you love. How much does your maintenance weight fluctuate by? My weight probably fluctuates by half a stone or so. If you gain a few pounds what do you do? I don't let it get me down and just do a bit more exercise. It's important not to fall back into old habits and not to beat yourself up if you do gain a few lbs - it's natural to fluctuate a bit. Any top tips for someone who has just hit their goal? Keep using Nutracheck to get used to what it takes to maintain that weight. Weight loss journeys can be a long process and you get very used to eating a certain amount of calories - reaching your goal can upset that. * Weight loss is individual and your personal rate of loss may vary from any case studies shown on this website.